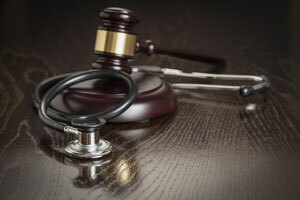 Several states have adopted laws that require medical malpractice allegations to be reviewed by a panel of healthcare providers before a malpractice lawsuit can be filed. Construing Indiana’s version of that law, the Indiana Court of Appeals recently decided that an expert witness would be allowed to testify at trial about a theory of medical malpractice that was not expressly presented to the review panel. Rowena Turner was diagnosed with a form of bone marrow cancer that increased her risk of developing blood clots. She was prescribed anticoagulant (blood thinner) medication to reduce that risk. Ten years later, Dr. Charles McKeen performed surgery to remove a part of Turner’s colon. When she was discharged, Dr. McKeen told her not to restart her anticoagulant medication. Two days after her discharge, Turner was readmitted to the hospital with complaints of vomiting. Based on her distended abdomen, Dr. McKeen concluded that she suffered from a small bowel obstruction. Later that day, Turner was transferred to a critical care unit after her blood pressure dropped. She was diagnosed with deep vein thrombosis, a condition that occurs when a blood clot forms in a deep vein, and with acute kidney failure. Turner died about a week later. Following Indiana’s procedure for bringing a medical malpractice claim, Turner’s husband filed a proposed complaint with the Indiana Department of Insurance. The complaint alleged that Dr. McKeen was negligent and that his negligence caused Turner’s death. Turner’s husband later filed a submission with the Medical Review Panel (MRP), supported by medical records, that explained his theory of Dr. McKeen’s negligence. The submission to the MRP focused on Dr. McKeen’s failure to perform exploratory surgery promptly after Turner’s readmission to the hospital. The submission did not allege that Dr. McKeen was negligent in the dosage of anticoagulant medication he prescribed during the first hospitalization or in his instruction to forego blood thinners after Turner’s discharge. The MRP concluded that Dr. McKeen was not negligent. Having jumped through the procedural hoops that Indiana requires before medical malpractice litigation can be commenced, Turner’s husband filed his lawsuit. During discovery, Turner’s husband obtained and furnished the report of an expert hematologist, Dr. Robert Manges. Dr. Manges expressed the opinion that Dr. McKeen negligently failed to provide a proper dosage of anticoagulant medication during Turner’s first hospital stay, given her elevated risk of forming blood clots. Dr. Manges also opined that Turner would not have developed deep vein thrombosis if she had been prescribed an appropriate dosage of anticoagulants after her hospital discharge. Dr. McKeen’s attorney filed a motion to strike Dr. Manges’ opinions because his theory of malpractice had not been presented to the MRP. The trial court granted that motion but later reconsidered its decision. When it ordered that Dr. Manges would be permitted to testify, Dr. McKeen asked the Indiana Court of Appeals to review that order prior to trial. The Court of Appeals agreed to do so. After filing a proposed complaint, Indiana law requires a plaintiff to submit evidence in support of the complaint to an MRP. The evidence must pertain to the theory of negligence that will be raised at trial. The MRP, which consists of three physicians, then renders an expert advisory opinion about the complaint’s merit. The MRP essentially gives a thumbs up or a thumbs down to the complaint but it does not explain its reason for doing so. The opinion has no impact on the plaintiff’s right to file a lawsuit, but it must be obtained as a condition of filing suit. Attorneys often accompany the evidence with a statement that explains why, in their opinion, the case has merit, but the law does not require them to do so. The Court of Appeals concluded that such statements are not “evidence” and that the failure to explain all the ways (or any way) in which a doctor was negligent has no bearing on the ability to raise those theories of negligence at trial. Turner’s husband was therefore not precluded from contending that malpractice occurred for reasons that were not addressed in the statement submitted to the MRP. The court also concluded that the proposed complaint filed with the MRP does not need to articulate specific theories of negligence. In Indiana, a complaint merely serves to give notice to the party being sued of the general claim (in this case, malpractice) that is being made. Complaints need not recite evidence in support of the claim. The complaint filed by Turner’s husband met the notice standard. It alleged that Dr. McKeen was negligent by failing to provide the appropriate standard of care to Turner during a time span that covered both hospitalizations. The decisive question was whether evidence of the theory of negligence that would be raised at trial was presented to the MRP. There was no question that Dr. Manges’ expert opinion was not included in the evidence submitted to the MRP. The court held that medical malpractice plaintiffs are not required to provide all of their evidence, including expert opinions, to the MRP. The panelists, after all, are themselves experts. Plaintiffs need only present some evidence that supports the theory of malpractice that will be raised at trial. Turner’s husband did that by submitting Turner’s complete medical records, which included the anticoagulant dosage that Dr. McKeen ordered during her first hospitalization, as well as his instruction to discontinue the medication after her discharge. Since those are the facts upon which Dr. Manges based his expert opinion, the Court of Appeals agreed that the expert could not be precluded from rendering that opinion at trial.